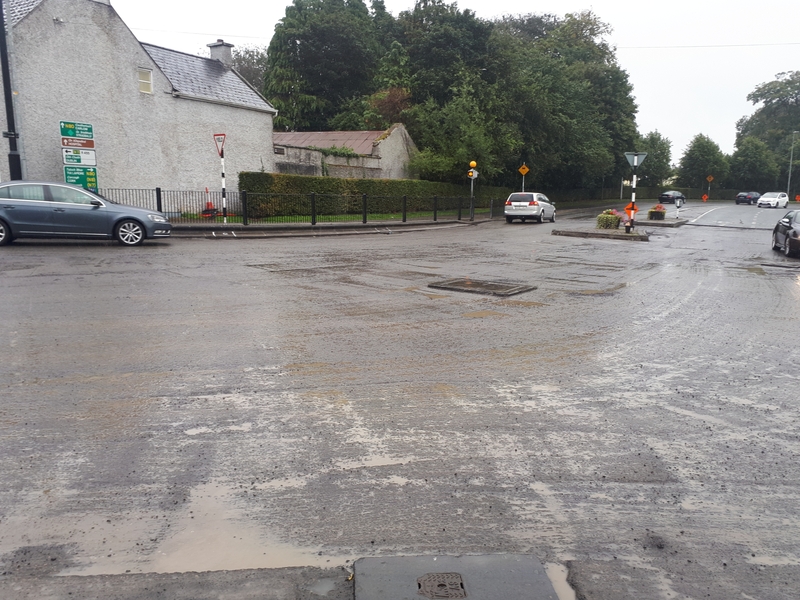 No road markings at the roundabout where James Fintan Lalor Avenue meets the Stradbally Road in Portlaoise. Part of the N80 road through Portlaoise town will be closed from 7:00pm every evening this week for resurfacing works. 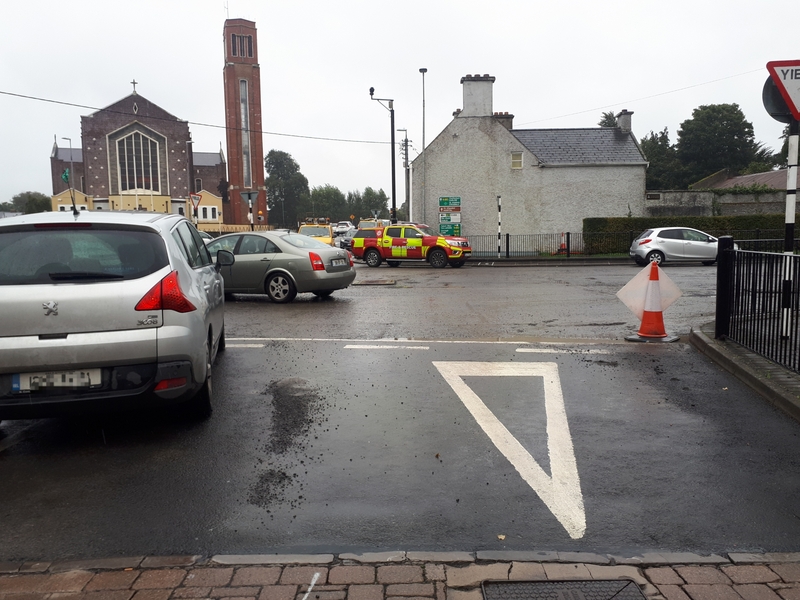 There were no road markings on the N80 at James Fintan Lalor Avenue, Portlaoise on Monday where roundabouts divide the N80 and R445. The road closes at 7:00pm daily from Monday to Friday this week and reopens at 06:00am each morning. Diversions are in place during the road closure time. 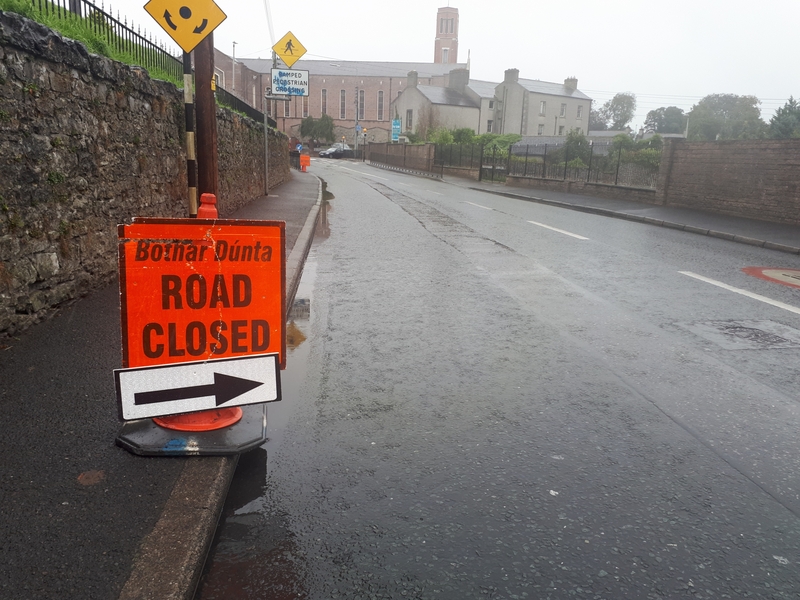 Main road between two Laois villages closed.